To celebrate The Recipe ReDux‘s 5th birthday, this month’s theme is to highlight another ReDuxer’s recipe. This was a great opportunity for me to check out the Recipe ReDux blogroll. Through it, I discovered The Foodie Physician, a board certified Emergency Medicine physician, mom, culinary school graduate, recipe developer and cookbook author. I’m so glad I came across her blog. I’m so inspired by Sonali because she’s living many of the aspirations I’ve had for a long time! 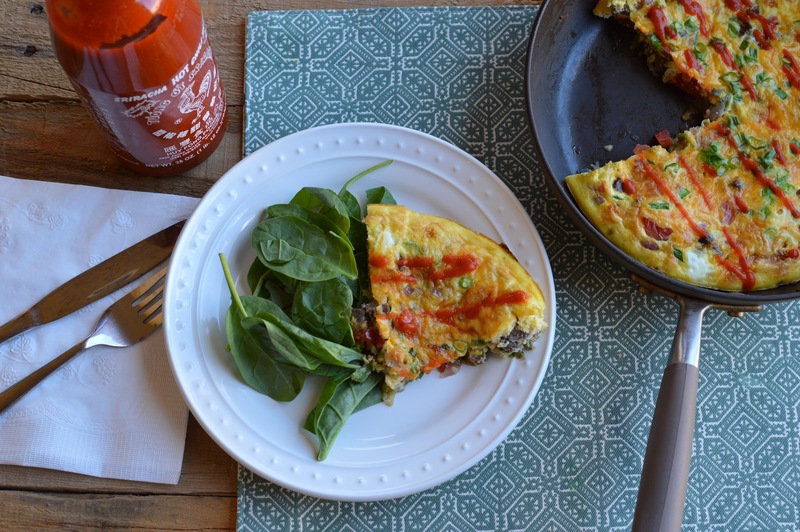 I’m truly impressed that as a mother and physician, she still finds the time to share creative and family-friendly healthy recipes on her lovely blog. You should definitely check her out! Somali’s recipe for strawberry stuffed french toast caught my eye because breakfast is my favorite meal. In fact, Colby and I enjoyed this seemingly decadent strawberry french toast for dinner tonight! It tasted like we were eating dessert for dinner, and I’m not mad about it. Added bonus? It took only about 20 minutes to make from start to finish! Check out my version of Sonali’s delicious strawberry stuffed french toast below. A decadent tasting yet lower calorie french toast stuffed with a sweet ricotta and fresh strawberry filling. 1. Mix the ricotta cheese, Neufchâtel cheese, 1 teaspoon vanilla, lemon juice and 2 teaspoons honey together in a bowl. Spread equal amounts of the filling on each slice of bread. Arrange strawberry slices on the surface of 4 slices of bread and top them with the other 4 slices of bread, forming 4 sandwiches. Whisk the egg and egg whites, milk, cinnamon, ½ teaspoon vanilla, and 1 teaspoon honey together in a bowl or shallow dish. 3–4 minutes until golden brown, then flip and cook another 3–4 minutes on the second side. Transfer the sandwiches to a cutting board and let them cool slightly. Cut into triangles. Serve with fresh strawberries, a little maple syrup, and/or whipped cream. This dish is seriously delicious! Make it a point to try it out and visit Sonali’s website for more great recipes. Scroll down to check out this month’s Recipe ReDux posts in the linkup! One of my favorite cakes is clafoutis because it’s simple to make and healthy enough to eat for breakfast if you use nutritious ingredients! Clafoutis is a cake made with fruit and pancake-like batter dusted with powdered sugar. Traditional French clafoutis features black cherries lined in a buttered dish topped with batter. Similar cakes that use different types pf fruit are technically called flaugnarde. In this blueberry walnut flaugnarde cake recipe, walnut meal elevates the flavor and nutrition profile of the recipe. Did you know that just an ounce of walnuts provides 2.5 grams of the essential plant-based omega-3 alpha-linolenic acid (ALA), 4 grams of protein, and 2 grams of fiber to keep you feeling full? I was surprised, too! I was even more surprised to discover that walnuts are the ONLY nut that’s a significant source of omega-3 fatty acids. Each serving of this cake packs antioxidants from the blueberries and a full serving of walnuts. Enjoy! Preheat the oven to 350 degrees. Arrange the walnuts in a single layer on a baking sheet and toast for 8-10 minutes, or until fragrant but not dark. Set aside and allow to cool completely. Grease a 9-inch pie plate with 1 tablespoon of butter and sprinkle with 2 tablespoons of flour and set aside. Using an electric mixer, beat butter and sugar until light and fluffy. Add eggs one at a time, beating well after each addition. Beat in vanilla extract. Pulse the cooled walnuts in a food processor to make walnut meal. It should resemble sand. Whisk together the walnut meal, flour, baking powder, and salt in a medium mixing bowl. With the mixer on low, slowly blend in the flour mixture. Do not overmix. Using a rubber spatula, gently fold all but 1/2 cup of the blueberries into the batter. Transfer the batter to the pie plate. Top with remaining 1/2 cup of blueberries. Bake at 350 degrees until a toothpick inserted in the center of the cake comes out clean, 45 to 50 minutes. Allow to cool 10 minutes before topping with powdered sugar, etc. before serving. I like this cake served lukewarm with a bit of powdered sugar and whipped cream on top! To store it, allow to cool completely at room temperature and then cover with plastic wrap. It will keep in the fridge for a few days. If you wrap each individual piece in plastic wrap and then aluminum foil, it will keep in the freezer for a couple of months. If you like this recipe, you’ll love the other walnut recipes in the linkup at the bottom of this page! There’s a restaurant in Las Vegas that serves a delicious breakfast pizza on the weekends. If you’re in town, I highly recommend checking out Honey Salt for a great mimosa brunch on the patio. Even if you aren’t a Vegas local, you can recreate Elizabeth Blau’s tasty breakfast pizza at home with this simplified replica I came up with. Did you know you can buy raw pizza dough at most pizzerias for just a few bucks? This is great news for making pizza at home easily! Just call your favorite pizza shop and ask. I got the dough for this recipe from Trader Joe’s. They have a great wheat dough ball that’s only $1.19. Preheat the oven to 425 degrees F. Allow the dough to rise at room temperature for 30 minutes, uncovered. Divide the dough into 4 equal parts and shape each portion into an individual pizza crust. Place all four on a large baking sheet or two smaller baking sheets that will fit side-by-side in the oven. Heat the olive oil in a small nonstick skillet over medium heat. Sauté the spinach for about 2 minutes until hot and add a splash of milk. Continue to cook until most of the liquid is absorbed. Season with a dash of salt and pepper. Extend the spinach mixture evenly among the four pizza crusts, spreading it as close to the edges as you can. Top each pizza with about 1.5 oz of shredded cheese. Bake for 12 minutes or until the cheese is becoming golden and bubbly. While the pizzas are baking, whisk the eggs vigorously in a medium mixing bowl. 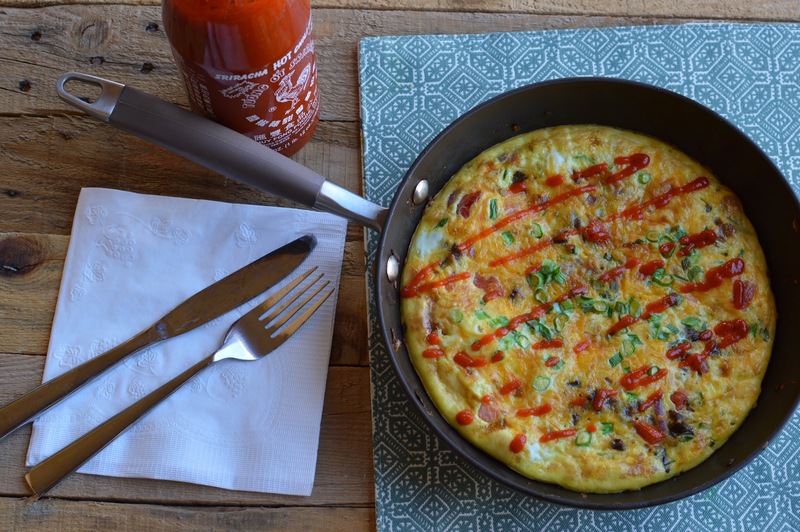 Scramble slowly in a medium nonstick skillet coated with melted butter over low-medium heat. Scramble until nearly finished, but not fully cooked through. Season with salt and pepper. Top each pizza with an equal portion of the eggs and return to the oven for 1-2 minutes more, or until the eggs are fully set. Serve with your favorite garnish and a side of fruit. I topped my pizza with freshly grated parmesan, parsley, and sriracha sauce. Enjoy! I was nervous about the timing of baking the crust, adding the cheese, and knowing when to incorporate the scrambled eggs, but it ended up being a very intuitive process. The basic idea is that you’re baking a pizza 90% of the way through and adding eggs that are 90% finished, then finishing the last 10% of the cooking process with all ingredients combined. I think you’ll like it! Here’s a close up of the eggs and cheese, pre-hot sauce. 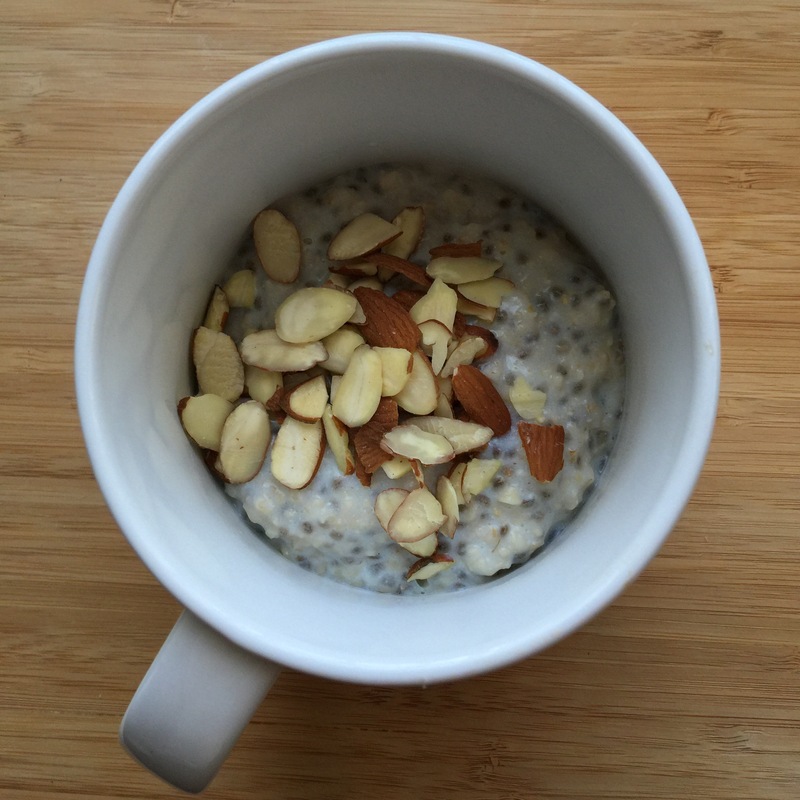 Need a fast breakfast that’s packed with protein, whole grains, and fruit? Search no further! I’ve been experimenting with easy ways to make mug cakes. 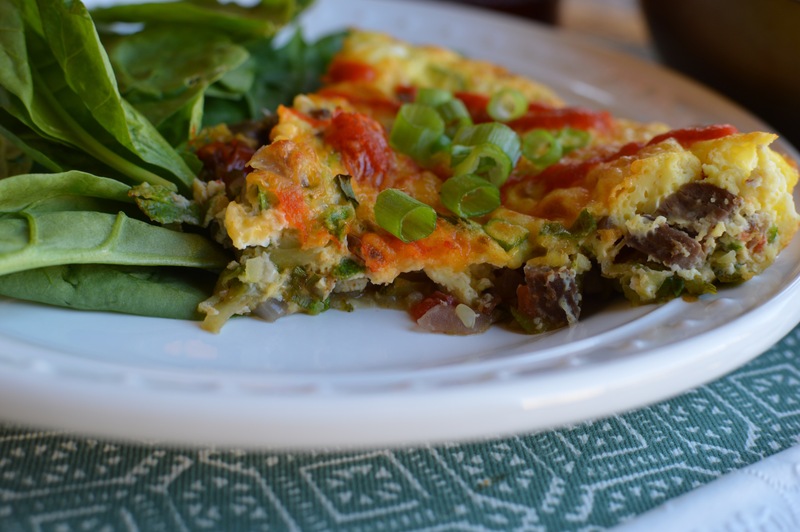 This one is healthy enough to eat for breakfast and is perfect for this month’s Recipe Redux theme! If you haven’t tried Kodiak Cakes pancake mix yet, you’ve been missing out! It’s made from whole wheat, oats, whey protein, and buttermilk. This pancake mix rocks because it makes hearty yet fluffy pancakes and is very versatile! It’s perfect for mug cakes like this one. My favorite thing about this particular mug cake is that you only need a few ingredients and can mix everything together in one cup! This saves a lot of time in preparation and clean up. Definitely a must for busy mornings! Whisk oil, sweetener, and milk of choice in a microwave safe mug. Spoon Greek yogurt on top and sprinkle with any additional toppings of your choice! I love dessert! I especially love dessert that tastes decadent but is healthy enough to eat for breakfast. This recipe is a winner because it balances the flavor of cake batter with fiber (from almonds and oats), healthy fats (almonds again! ), and protein (vanilla protein powder). 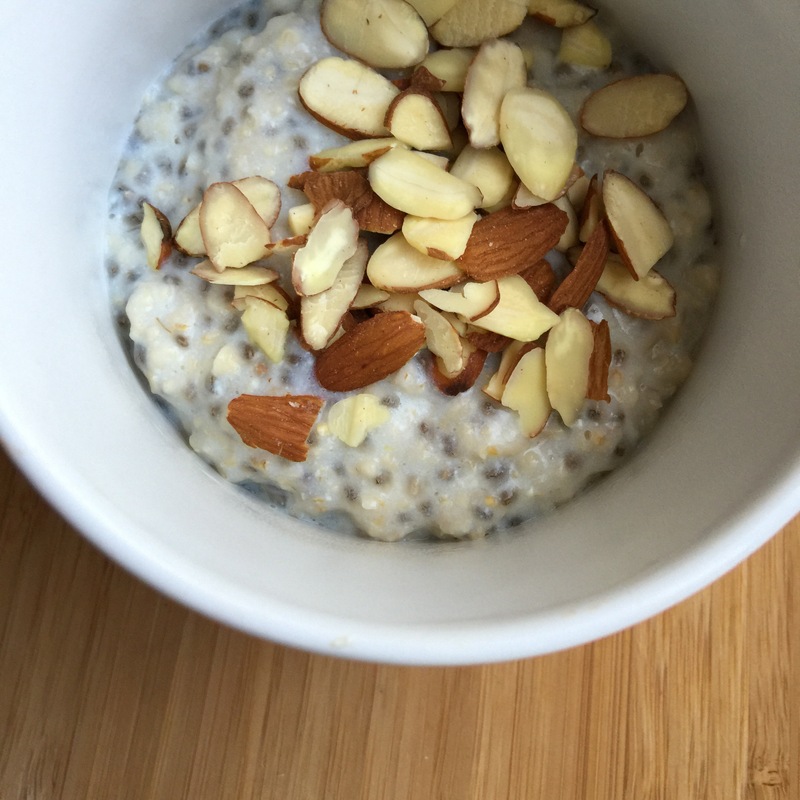 These oats are so delicious you’ll probably crave them every day. I still love them, and since I’ve perfected the recipe over the past 3 years, I’m excited to share it with you today! 1. Cook the oatmeal according to package instructions. 2. Stir in chia seeds and allow to cool for about 5 minutes. 3. Stir in vanilla protein powder gradually until it is fully absorbed and not clumpy. 4. Serve sprinkled with sliced almonds. Top with cinnamon and/or dark brown sugar, if desired. Like many of my recipes, this one is inspired by a single ingredient. In this case, I had about a cup of whole cranberries in the freezer that needed to be used up. 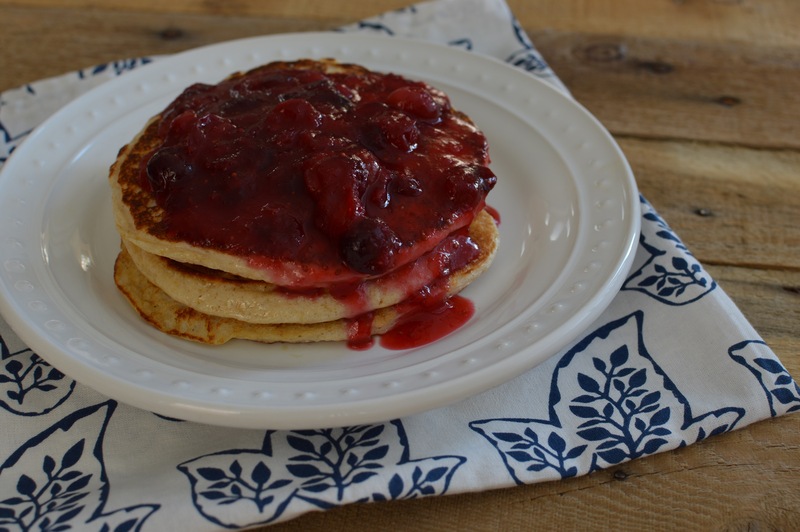 The grapefruit and cranberries have a nice tart bitterness that is well balanced with rich brown sugar in this compote over protein pancakes. There are dozens and dozens of recipes for protein pancakes available online. You can follow mine, choose another, or create your own! It’s amazing that almost anything can be turned into a pancake as long as you have something like egg to hold the batter together! If you end up having extra cranberry grapefruit sauce after topping your pancakes, use the leftovers with Greek yogurt or swirled into oatmeal. I made this dish over the weekend to recover from an evening of beer tasting and to lay a good foundation for a day of brewing our first beer with Colby! Our experienced home brewing friends came over to walk us through it, so I think the nut brown ale fermenting in our bathtub will turn out great! I’m excited to think of ways to use the spent grains in recipes too- maybe in cookies, blondies, or a hearty beer bread? …or pancakes! Anyway, enjoy this recipe at your next summer brunch get together with your favorite people! 1. Prepare the pancake batter by combining all dry ingredients in a mixing bowl and stirring in the wet ingredients. Add milk as needed until a batter consistency is reached that will spread easily, but not thinner than 1/4 inch, when poured on a hot pan or griddle. 2. Heat a lightly greased pan or griddle over medium heat and pour 1/4 cup of batter per pancake. Flip when bubbles begin to form (approx. 3 minutes). Continue to cook until both sides are golden and the pancake batter is cooked through. 3. To make the sauce, combine cranberries, grapefruit juice, and sugar in a small saucepan over high heat. Bring to a boil, then reduce to heat to low and simmer for 5-7 minutes. 4. Add the cornstarch dissolved in water and stir until it is translucent and the sauce thickens. Stir in lemon juice and pinch of salt. 5. Serve sauce over pancakes and top with whipped cream or yogurt, if desired. Do you have a favorite protein pancake recipe? I’m thinking of trying one with cottage cheese next time! Thanks for reading, my friends! I love brunch! How could I not? We have beautiful weather and great friends joining us for bible study this fine day! This recipe is simple, filling, and nutritious. I hope you’ll try it and tell me what you think! 1. Preheat oven to 375 degrees and grease the bottom of an 8×8 square baking dish with cooking spray. 2. Line the bottom of the dish with a single layer of banana slices and sprinkle half the berries on top. 3. In a mixing bowl, whisk together the milk, egg, half the butter, vanilla extract, and maple syrup (if using). 4. In a separate bowl, stir together the dry oats, half the chopped nuts, cinnamon, baking powder, salt, protein powder (if using), and stevia (if using). 5. Stir the wet and dry ingredients together and pour into the baking dish. Sprinkle remaining berries and nuts on top. 6. Bake for 40-45 minutes, or until the mixture is set and golden brown on top. Allow to cool for several minutes. 7. Top with remaining melted butter (optional) and a sprinkling of brown sugar (optional). Serve with Greek yogurt, sliced almonds, maple syrup, and/or fresh berries! I topped mine with greek yogurt mixed with vanilla extract and stevia. And there are still leftovers for tomorrow! Yesss! How can something so healthy taste so decadent? I don’t understand it, but I’m so excited to share this recipe with you! I’m always looking for tasty ways to use up the leftover pulp from my juicer. This recipe is perfect for using up carrot or carrot/apple pulp! You can even freeze the pulp in a sandwich bag if you want to make this pancake recipe another time. 1. Combine all ingredients from grated carrot down to vanilla extract in a large mixing bowl. Whisk together and allow to sit for 5 minutes to absorb liquid. 2. In a separate bowl, stir together remaining dry ingredients (protein powder through salt). 3. Add the dry ingredients to the wet ingredients and stir together to incorporate. 4. Cook the pancakes on a lightly greased pan or griddle, flipping carefully when bubbles begin to form around the edges. 5. To make the icing, combine icing ingredients in a small bowl and mix well using a fork or whisk until smooth. 6. Serve pancakes topped with icing and chopped nuts. Yes, they’re as tasty as they look! I hope you’ll try them out!